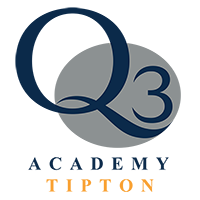 Ensuring that your son/daughter is well prepared for a successful career, Q3 Academy Tipton delivers a structured Careers Education programme which provides them with the skills, knowledge and understanding to manage their own lifelong learning and career development. Through careers education, information, advice and guidance, your son/daughter will be able to feel positive about themselves, develop the knowledge and skills needed to make successful choices and manage transitions in learning and move into work, alongside improving their motivation, raising their aspirations and taking responsibility for their career plans. Career choice is one of life’s most important decisions. Choosing a career that matches your son/daughter’s interest, skills and values significantly increases their chances for success and happiness. There is a comprehensive list of web sites that you can access along with your son/daughter that covers all aspects of careers guidance and planning which can be used to supplement the individual guidance they will receive at the Academy. These are located in the ‘Careers Section’ of the Academy web site. The careers programme incorporates work related learning activities, work experience, challenge days, visits to colleges, apprenticeship providers and universities alongside employer talks. Take part in activities such as work experience, mock interview day and attend careers information talks by businesses to raise awareness of opportunities and encourage self-development. Our aim is to encourage parental/carer involvement at every stage of your son/daughter’s career development. You are welcome to attend their careers guidance interviews in school by prior arrangement with a member of the careers team. We welcome suggestions from parents/carers on how to improve the services we offer.